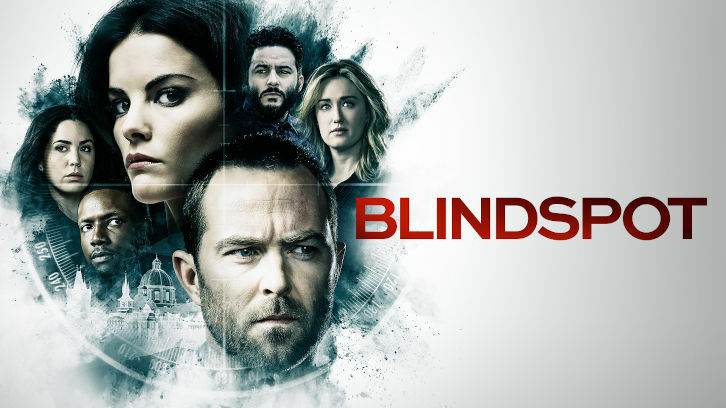 Blindspot - The Tale of the Book of Secrets - Review: "Full Circle"
In this week’s Blindspot, it is up to Patterson and Rich to find el libro in order to secure a cure for Jane’s Zip poisoning. I love these Rich and Patterson centric episodes. They’re funny together, and extremely entertaining to watch. Their involvement was a great way to balance out the clearly dramatic portion of the episode, as Jane is slowly dying. I am all for happy endings, but all I could think by episode’s end was: What now? 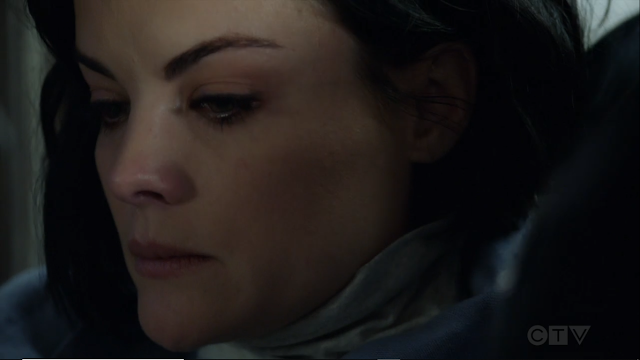 Last week’s episode ended after Jane suffered from a grand mal seizure, and the team feared the worse. Jane only had a couple of days left. They needed to find some Stanton Cells, and they needed to find them quickly. “The Tale of the Book of Secrets” promoted a sense of urgency during the glorified treasure hunt for the book. This urgency was further put forward by the fact that Kurt decided to stay behind. He knew the odds of them finding the book were slim, and wanted be with his wife if they failed. It was very touching to see. He’s a husband first, an agent second. The team had a lead on some cells, with a billionaire hypochondriac they found in one of Roman’s caches. The man, who wants to hold on to the cells in case he needs them in the future, is not interested in saving a woman he doesn’t know with nothing in exchange. It’s not that surprising. Gambling, Patterson offers him the book of secrets in exchange for the cells. She realises that this was the reason Roman had been pointing them towards that book. It’s not because it held the cure, but because it could be used as a bargaining chip. It’s not like the team already didn’t have a timeframe for this, with Jane dying and all, but he gives them 48 hours to make the trade. Through a series of enigmas, the Rich and Patterson end up in Peru on an unsanctioned mission. Rich and Patterson follow the clues from the church to a bed and breakfast. There, they impersonate two newlyweds in order to get a room in the solidly booked accommodations. I love that there is nothing more than friendship between the two, an almost sibling-like bond, and there will never be anything more. It’s refreshing in this show with a lot of relationship drama. Their acting manages to get them into the old study upstairs; it’s even better than having a bedroom. In the study, they have access to the research from one of the three explorers that had been looking for the book of secrets in the 1950s. He and his wife had hid several artefacts in order to protect them, and left a series of clues for someone to locate them. Patterson and Rich work with Roman, and his caches, to find the book’s resting place. Encrypted in the first cache they had found, in the event of his death, Roman had left his sister a letter. Again, this was an emotional moment for Jane. He cared for her deeply. He loved her. We were witness to several heartbreaking moments at the hospital between Kurt and Jane. The pair played it to perfection, the emotion was palpable. Jane has almost given up; she is convinced that she will die. She understands how bad it is if Kurt has turned down the assignment. She’s scared, really scared, and there is nothing Kurt can say to make her feel safe. The way she said that line broke my poor heart. She’s usually so strong, seeing her broken like, at the antipode of her confident character, almost brought me to tears. When Kurt describes her the image from her brother’s cache, Jane recognizes the allusion to their coin. She uncovers the password revealing the letter and the map. 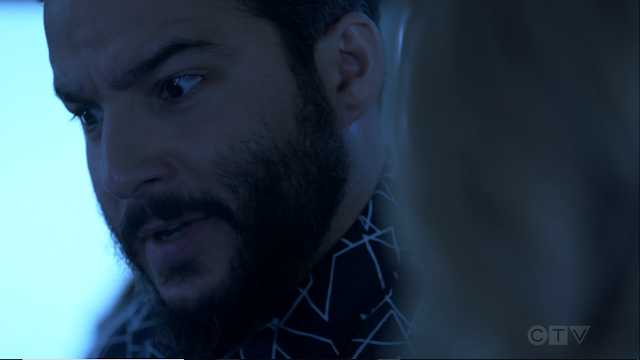 Roman had never deciphered the map, and Jane doesn’t think they will have enough time either, even if they have Patterson and Rich on their team. But, with access to more of Alexander’s notes, they manage to find the location of the artifact at the Machu Picchu. I loved how Rich pulled out his trawler, meaning that Reade accepted to get one for him for the mission. He didn’t get his private jet, but at least he got his shovel and his brush. Upon returning to the B&B, they find that they have been double crossed ben Ken Lee, but the team had been one step ahead. When Kurt had called in to talk with the man, he had discovered his plan, and used it against him. In the end, they didn’t even need to trade the book of secrets. It was the Stanton Cells against house arrest for his crimes. All is well that ends well, the treatment is a success, and like a family they come together at Jane’s bedside. In other news, Zapata is back in the FBI headquarters for a split second. She needs Boston’s help for an undercover mission, she wants him to impersonate El Toro. While he was not sure that he wanted to be part of that mission in the beginning, when Reade told him he would give him immunity if he succeeded, he jumped at the occasion to finally be liberated from his shackles. He even gets cocky on his hacking abilities now that he and Remi faked a nuke attack. I had almost forgotten about that. Thanks for the reminder. When Boston completes the task made out to test his abilities, Madeleine drops a bomb. She knows who he is, and she expects Tasha knows who he is too. She is such an unpredictable character. It’s incredibly entertaining to watch. 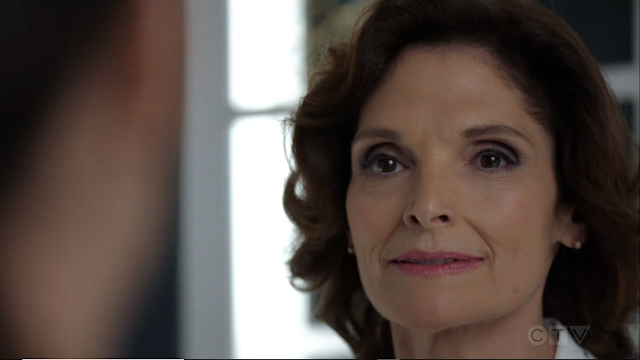 I was almost expecting her to shoot Boston and Tasha right then and there. Tasha double downs on the lie that Boston is Del Toro and the pair work together, and convince Madeleine that he is the real deal, managing to switch out the paper weight for the sniffer at the same time. Reade is right to be worried, Zapata and Boston haven’t checked in yet. He wants Patterson and Rich to find them. As it turns out, to Tasha’s surprise, Madeleine is taking them to a second location. It’s happening, and it’s happening a lot sooner than they expected. The next few episodes should thus switch the focus over to Zapata and Boston, that’s what’s next. Still not sure if I'm excited or not about it.